The Singapore International Energy Week (SIEW) is an annual platform for energy professionals, policymakers and commentators to discuss and share best practices and solutions within the global energy space. 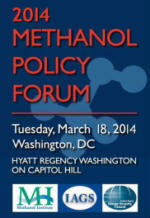 SIEW aims to facilitate the exchange of ideas and discussions on pertinent energy-related issues, while simultaneously meeting the strategic objectives of Singapore’s commitment to becoming a global leader among energy companies converging on the event, as well as to provide a platform to showcase innovative products and solutions in the energy marketplace. SIEW will be held 29 Oct - 2 Nov 2018. 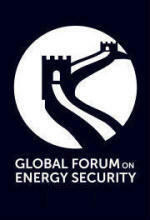 The Global Forum on Energy Security is an annual by-invitation-only conference held in Beijing with the goal of promoting research and information exchanges on energy security among think tanks, government officials, diplomats and industry leaders. 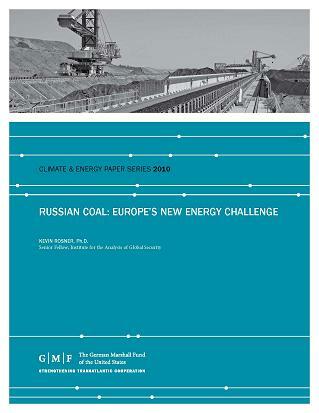 The Forum is a joint effort of the Institute of Quantitative and Technical Economics (IQTE) at Chinese Academy of Social Sciences, the Institute for the Analysis of Global Security (IAGS), the United States Energy Security Council (USESC,) the International Energy Forum and the Energy Charter. The 2018 Global Forum on Energy Security will be held in Beijing on June 18-19. The Fuel Choices and Smart Mobility Summit will be held Oct 29-30, 2018 in Tel Aviv, Israel. Click here for more info. 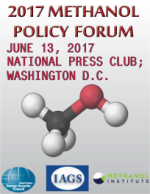 The Methanol Policy Forum was held in Washington DC on June 13, 2017. Click here for more info.